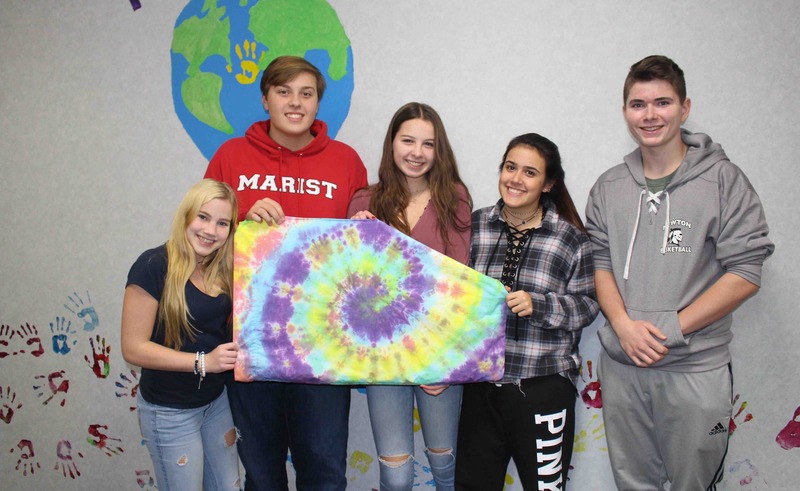 On Saturday, 1/27/18, Pass It Along was invited to host a day of service at Hilltop Country Day School in Sparta, NJ. Hilltop is an indpendent day school serving students in preschool through eighth grade. Over 20 families came together to serve, including students, parents and grandparents! Activity bags for Family Promise, including decorating canvas bags, bubble kits and friendship bracelets. Valentine’s Day vases for the residents at the Homestead Rehabilitation & Health Care Center. Thank You Boxes of Treats for local heroes and first responders in our community. The day included breakfast and a talk-back about service and giving back – check out a few pictures below. Thank you to Hilltop for hosting us! In 2017, Pass It Along had the honor of having Nancy Nester, 16, of Sparta as an intern! Nancy began volunteering with Pass It Along during her freshman year of high school, and over the past year took her volunteering to the next level. Starting in March 2017, she teamed up with OSCAR (One Step Closer Animal Rescue), a non-profit animal rescue organization in Sparta, NJ. In total, Nancy completed 268.5 hours in 2017 and now organizes their volunteer program! We would like to take a moment to thank Nancy for all of her hard work; you are the definition of what makes Pass It Along incredible! She will continue her internship into 2018, and we cannot wait to see what she accomplishes. 0	Christmas in the City 2018! It was another successful year of Christmas in the City here at Pass It Along! We were able to provide gifts, snacks and a day of holiday cheer to underprivileged children in the Oranges and Irvington, NJ. Over 400 volunteers helped to serve more than 2000 low-income students. Each year, this holiday outreach program helps get gifts into the hands of children who otherwise would not know the simply pleasure of a new toy at Christmas. Thanks to all of those who donated and have lead this program year after year, including High Point Regional High School, Sparta High School, Pope John High School. Check out a few pictures below!